Telegram messenger is a recent messenger that is now trending on the social media. This messenger has really advanced their features like that of the whatsapp messenger and now it takes a stand to battle with whatsapp messenger in the media world. I can still remember when the 2G0 Messenger took a stand to defeat the whatsapp messenger in the media world, but instead, the case turned the other way round, now 2Go messenger is rarely used by the individuals. Taking a stroll at the figures of whatsapp messenger, you would notice that they're widely used to huge amount of figures. You can take a stroll to know the Top 10 Certified Whatsapp Figure in 2014, it's an analystic post about the whatsapp messenger. - It's Free forever, compared to the whatsapp messeger that give a year trial. - It gives an unlimited chat upload, comapared to the whatsapp messenger that gives a 16MB chat upload limit. - You messages can be accessed with multiple device on telegram messenger. - No ads, No subscription fee and Free as I stated above. - It's Avaliable on all device, which also includes your old java phones, i.e Nokia Xpress music, Nokia C1 etc. - Download telegram messenger for Androids here. - Download telegram messenger for Nokia Phones here. - Download telegram messenger for Java Phones here. 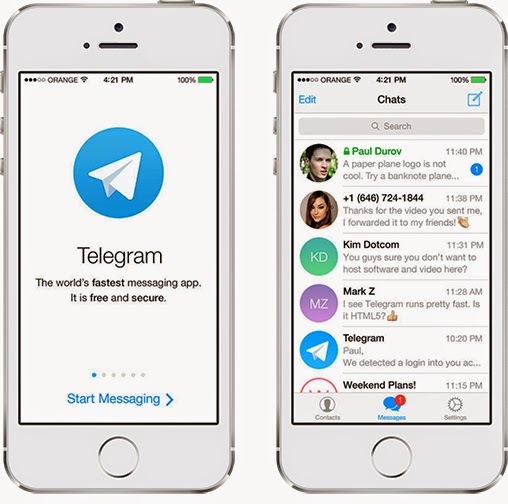 - Download telegram messenger for iPhones/iPads here. - Download telegram messenger for Windows Phone here. - Download telegram messenger for Desktops/Laptops here. I would encourage you guys to get the telegram messenger on your device, it's a cool app and looks mature, unlike the 2Go messenger that looks childish. Soon, I would be dropping my telegram details with you guys to get connected. Less I forget, I would encourage you guys to share this brief information to your friends on social network with the help of the share buttons below, and tell them to get connected with the telegram messenger, it's an interesting one. Don't forget to Like us on facebook and also follow us on twitter for more updates. Thanks, ok can 2 whatsapp account be used with E63 Nokia??? The good part is this available on major platforms, much better than whatsapp ( whatsapp is famous also.